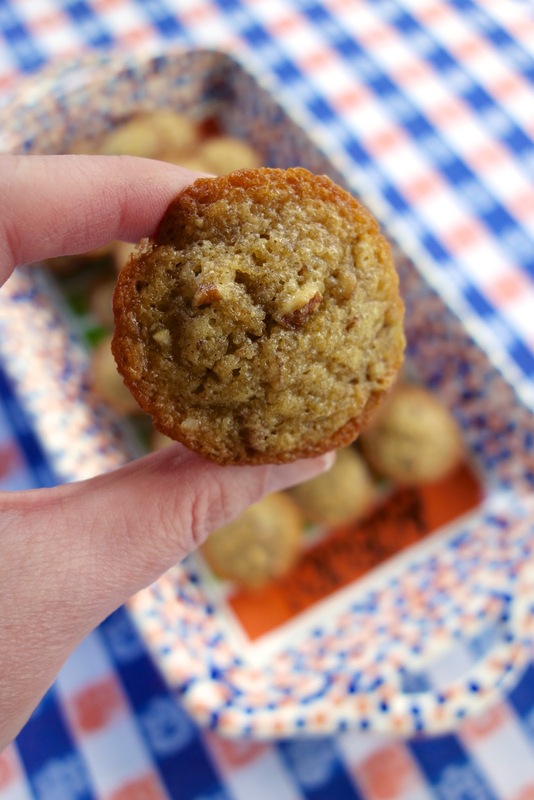 These little muffins taste just like a pecan pie. I actually think they are better than pecan pie because I don't like pecan pie. It's is the filling that turns me off to pecan pie. It is a consistency thing. I am sure it is awesome, but I just can't do it. Chicken Legs, on the other hand, LOVE pecan pie and these pecan pie muffins. These muffins only take a minute to whip up and taste great. I love that they are bite sized. Just pop one in your mouth and you are good to go! 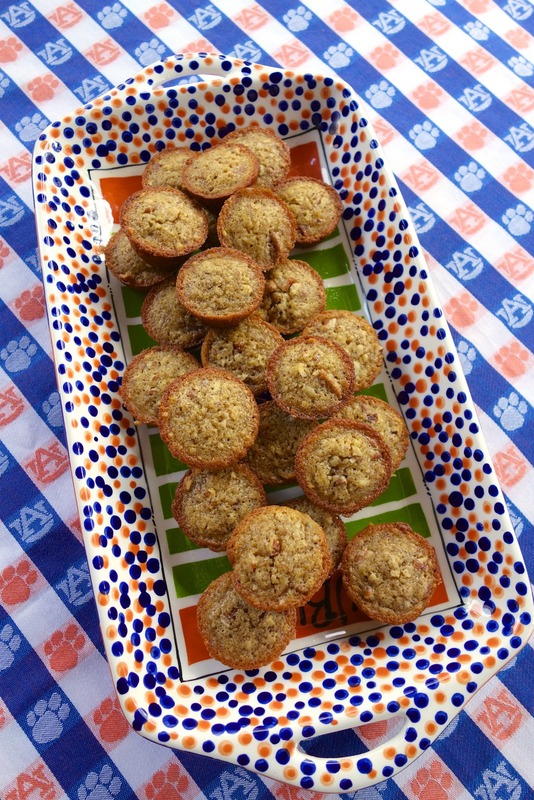 These muffins travel well, so they are perfect for tailgating. These would also be great for breakfast (anytime really). Sometimes I like to sprinkle some powdered sugar on top of the muffins for a little extra sweetness. Give them a try! Preheat oven to 350ºF. Spray mini muffin pan with cooking spray or line with mini cupcake liners. Whisk together flour, vanilla, brown sugar, melted butter and eggs. Stir in chopped pecan. Fill mini muffin pan 3/4 way full. Are you sure it is 11 Tablespoons of butter? That is a lot of butter. That is the correct amount of butter. I love pecan pie anything! If you use cupcake papers you need to spray them too. Otherwise these will stick to the paper as well. But they are amazing! You don't like pecan pie?? What in the world haha ;) Love these little muffins! They would be gone in like 2.5 seconds if I made them! yum! Bite size so you'll eat a ton more too! I LOVE the crunch of pecans. Next time you make these try using those sweet & spicy pecans from Trader Joe's. Oh so good! Yum! Pecan pie and muffins....two of my favorite things! Yay! Now I have an excuse to buy a mini muffin pan other than it being... cute! I haven't frozen any - they never last that long. I don't see that it would be a problem to freeze them. Let us know how it works! I can't do pecan pie either and it's definitely a consistency/texture thing with me. It just looks so unappealing. But, I do loooove pecans so I'll have to try these! Made these the other night….they are AMAZING!!! If my kids had their way they would have eaten every single one the second they came out of the oven!